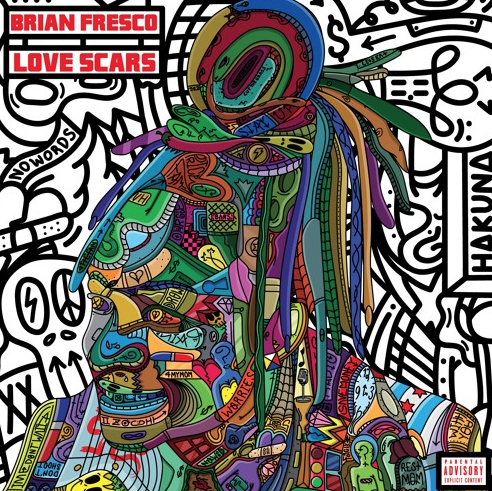 Savemoney is thriving in 2018 and it just got even better for the Chicago super group, as front runner Brian Fresco is making his way back on our platform tonightwith this brand new project titled “Love Scars“. There is a total of fifteen records on this project (if you count the bonus tracks), and after the first listen through I must admit that he surpassed my already high expectations, leaving me in awe once the outro ended. Fresco was certainly the shining factor throughout this whole tape, but man the features on this one were sensational, coming from the likes of MC Juice, Vic Mensa, Chance The Rapper, Kay Karma, John Blu, Twista, Avery Storm, Rockie Fresh, Anne One, Bj The Chicago Kid, Blue Hawaii Bjrknc and last but not least, KAMI. Another huge factor of how well this tape played out was in large part thanks to the producers Thelonious Martin, Trevor $, Snapback, Swim Team, DJ Kenn, Boogz, Ludlow, Akoni and Rich Gains paving the way. I really enjoyed this tape and I believe that you will too, stream it below!